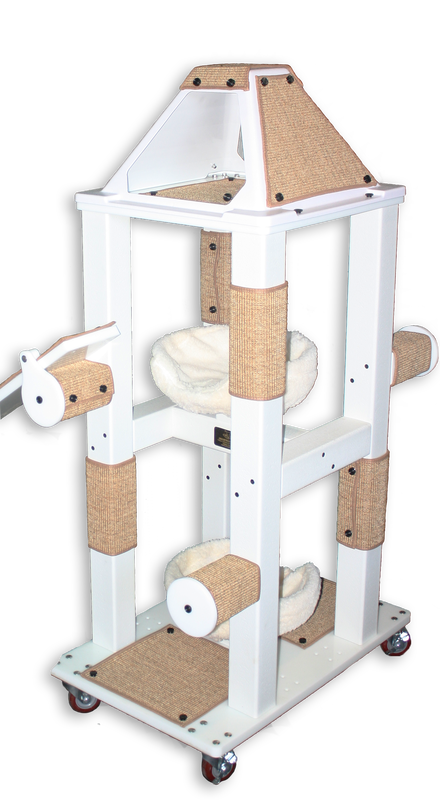 CRIJO Large Tower unit stands on a 2’ X 3’ base and is 6 ½ feet tall offering a pyramid and three beds. 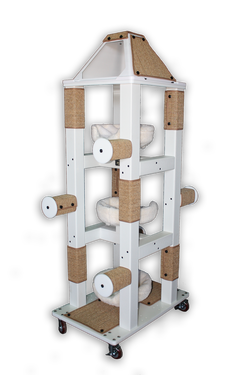 The unit has numerous vertical and horizontal scratching surfaces. 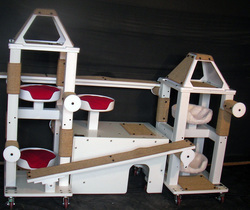 These units are versatile and have numerous configurations for connection of catwalks and catramps. 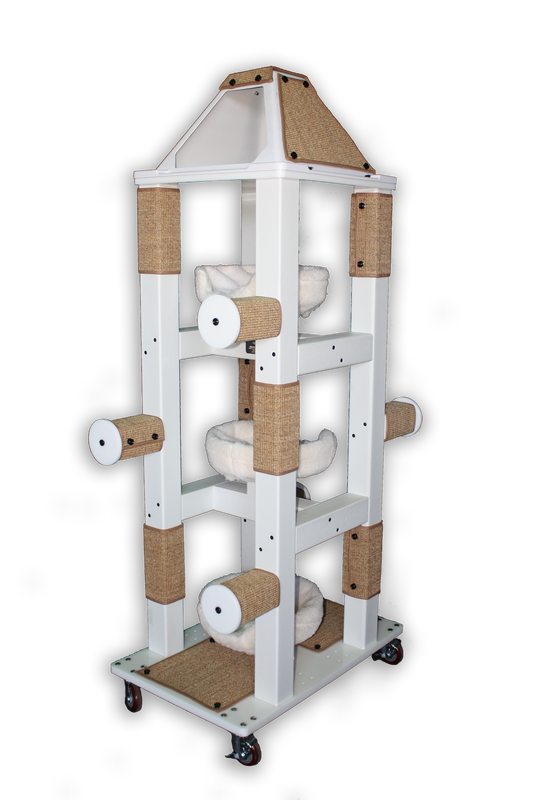 CRIJO Medium Tower unit stands on a 2’ X 3’ base and is 5 ½ feet tall. Includes a pyramid, two beds, and four jumping posts. Vertical and horizontal scratching surfaces provided by sisal pads. 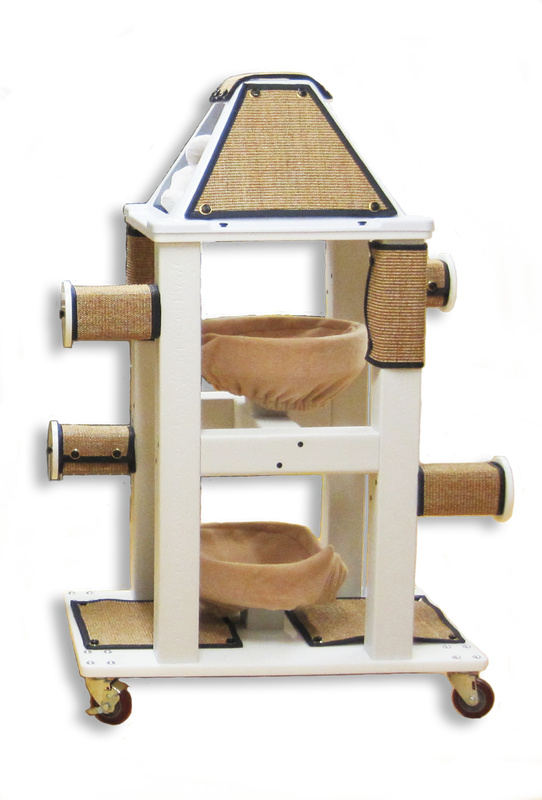 CRIJO Small Tower unit stands on a 2’ X 3’ base and is 4 ½ feet tall offering a pyramid and two beds. 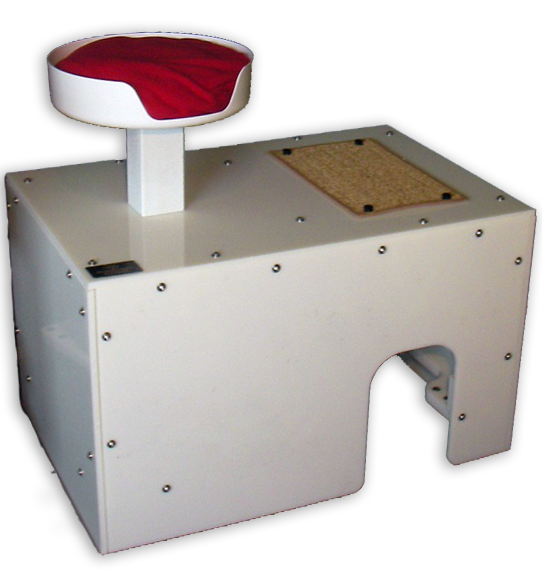 The unit has numerous vertical and horizontal scratching surfaces. 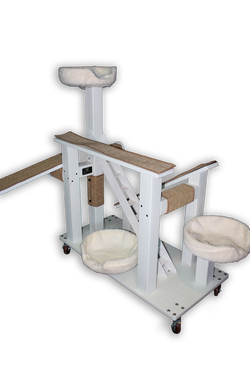 The Mobile Feline Unit (MFU) was the first of our “New Generation” series. 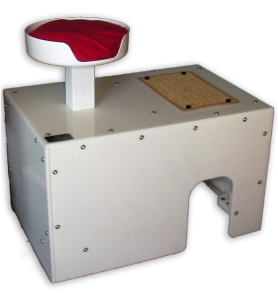 The unit is on a 2’ X 4’ base and stands 4’ tall. With three beds, a catwalk, a cat ramp, and steps, it offers great versatility in a single compact unit. The Showcase unit is 49” high, 73” wide, and 28” deep. It includes 6 beds. Place it beside a viewing window and the cats, drawn to the window, will put themselves on display. 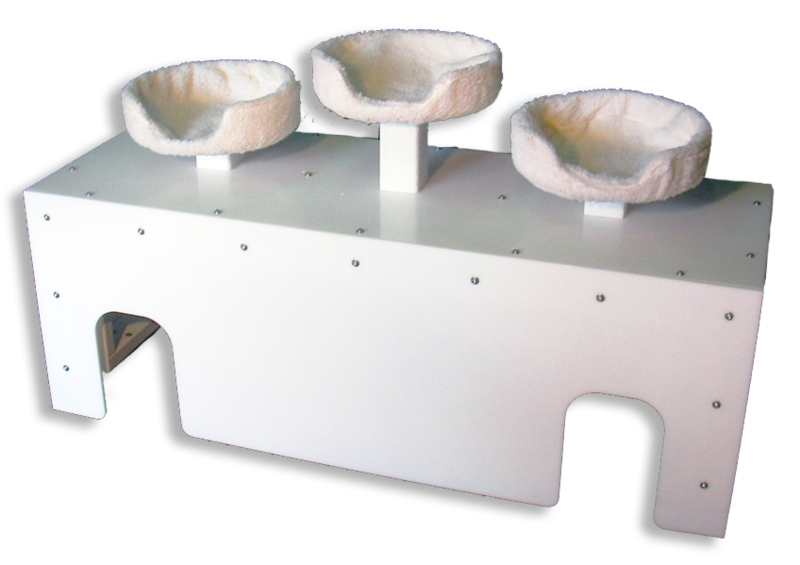 The Elevated Feeding Station can be attached to a variety of the New Generation products to provide elevated feeding capacity. 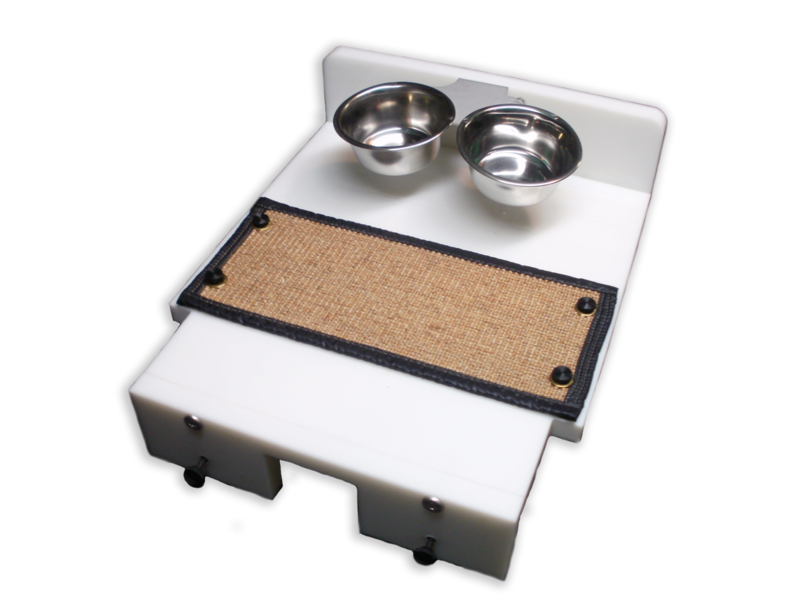 The HDPE unit features stainless steel feeding bowls and Sisal mats for rear paw traction. 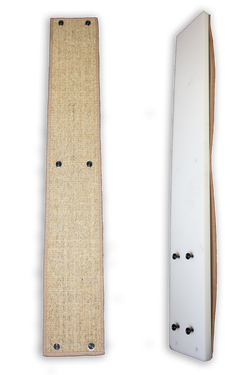 Available in 4 lengths (4’,5’,6’ and 8’) , they are 7” wide with removable/replaceable sisal scratch pads covering the top surface. The Connector Tower provides a configuration component to act as a connection point between New Generation units. The Tower provides an additional bed and enhances the vertical utilization of space in a New Generation room. By providing multiple connection points in addition to the bed, it makes both a functional and eye catching addition to a room configuration. The optional Cat Ramp Hinge Assembly can be attached to the base of any New Generation product to provide an additional mount point for a new ramp. 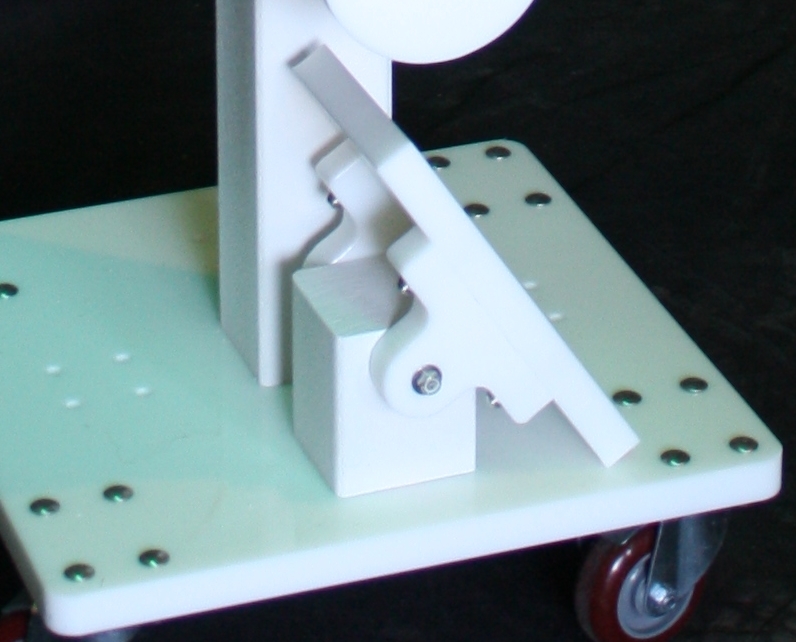 Fully adjustable, it provides a flexible solution to add new capacity to a New Generation configuration. The optional security harness is designed to attach to any New Generation product, and provide a means to secure the unit to a wall or floor for additional stability and security. 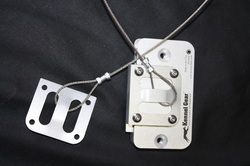 The Security Harness is an essential addition to the Connector Tower. Comprised of all New Generation Products, the Basic configuration consists of two basic units, a Basic Privacy Potty, one Cat Ramp and one Cat Walk. 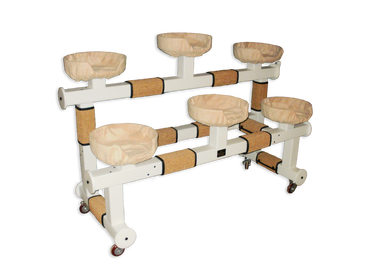 The flexible configuration can be configured to fit a variety of spaces. All New Generation Products have easy to replace (no tools required) sisal pad surfaces. This is a critical element of the ease of maintenance characteristic of these units and makes quick turnaround disinfecting possible.